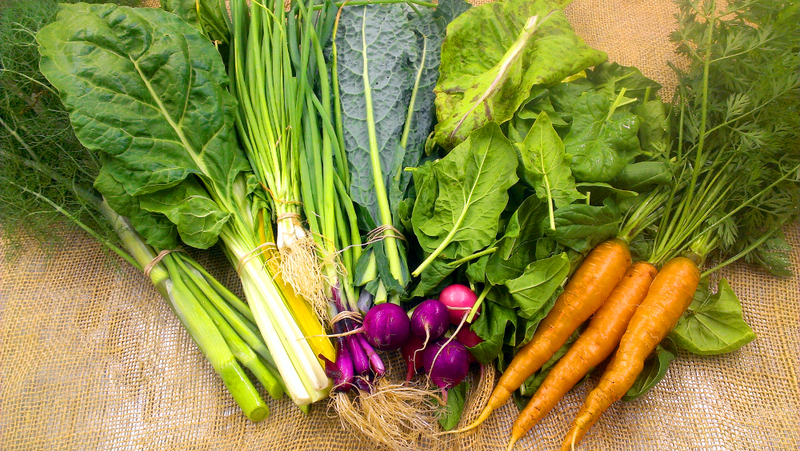 This is our CSA vegetable share for Spring/Summer 2015 program. All vegetables are certified organic. Small Share is enough vegetables for 1-2 people for a week. Large Share is enough vegetables for a family of 4 for one week. Please indicate below what share type you would like. Since the program is already under way the price displayed has been modified to reflect the remaining weeks of the program. There are 9 weeks remaining in the Spring/Summer CSA. Thank you for supporting organic, sustainable food in the Eastern Shore.